Like all electronic devices, your cameras also experience issues from time to time. Error messages are often displayed on the large LCD screen if the camera is facing any problem. So if you are receiving any such error message, this guide will help you troubleshoot the issue. Some of the common error messages w.r.t. 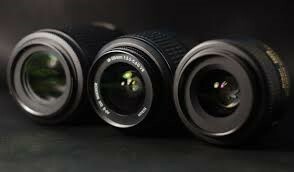 lenses you may encounter are explained as follows. An F message: This is often seen on Nikon cameras and usually indicates an error related to lens. If you see an F error, first check if the lens is correctly attached. Secondly make sure you are using an appropriate aperture setting for the lighting being used. These are the 2 main reasons for this error, so make sure you are following the appropriate settings. An E message: This is normally seen on Canon cameras often related to a stuck or jammed lens. Read the below solutions to understand how you can resolve this problem. Stuck lens or jammed lens issue usually occurs when sand particles or dirt accumulates near the lens and interferes with the lens mechanism. It can also occur when the camera is dropped with the lens extended or when the camera battery dies with the lens extended. In order to solve the stuck or jammed lens problem, you can use the following fixes to help you. Without exerting much pressure, gently try to push or pull the lens housing to help the jammed lens move. Please be very careful while performing this solution. Remove the batteries from your camera and wait for a couple of minutes. Then use a new pair of batteries and insert them into your camera. Now try to turn it ON. If the camera battery died with the lens open, the camera may display a lens error even with new batteries. In that case, remove the memory card and insert new batteries. Then insert the memory card and turn it ON. To remove sand or grit collected near the lens, try blowing compressed air around the barrels. You can also use a hair dryer with ‘no heat’ to blow air. If blowing air doesn’t help, you can also use a thin piece of paper to clean out any dust particles. If you haven’t dropped the camera or you don’t see any damage, please visit the camera manufacturer’s website and search for help for your camera model. You may find some helpful fixes or you may even find some firmware updates that may be useful. Use a table and place your camera on its back. Press and hold the Power button along with the Shutter button. The idea behind this solution is that camera will try to focus with the lens extending and try to put the lens and everything back in its place. If you are able to access the camera’s menu after seeing the error message, please perform a factory reset to reset your camera back to original condition. We hope one of these solutions help you fix issues with your camera’s lenses. But be careful while performing some solutions such as cleaning the lenses as it may damage your lens/camera if you’re not careful enough. Also, this would reflect in the videos you have stored on cameras. In case, you have such corrupt videos Remo Repair MOV will help you fix the corrupt video. If you find that some of the videos in your camera are not playing, it is likely due to corruption in the video file. In order to solve this problem, you can make use of a tool called Remo Repair MOV. Its advanced repair technique is capable of repairing corrupt MPEG4, MP4 and MOV videos. If you are someone experiencing issues with your MPEG files or MOV files, download a trail version of Remo Repair MOV and repair your file for free! Are Smartphone Cameras Really Better than DSLR’s?